Click on a milestone to view details. Milestone P1a - Subdivide, Render, Animate. Milestone P1b - Show acceleration static and during animation, Optimize. Milestone P1c - Follow (2D), Fly behind (3D), Draw 3D runnger, Lean runner. Milestone P1d - Control acceleration of second runner, Detect skidding, Skid motion. 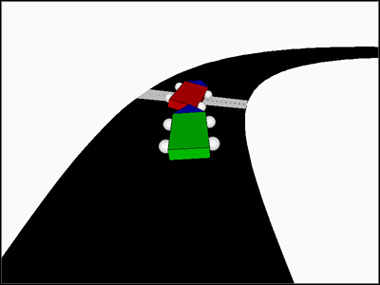 Milestone P1f - Moving Obstacles, Collision Detection, Collision Reaction, Report Timing.